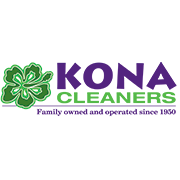 Kona Cleaners is at your service! We would like to thank the men and women whom have served our country by offering the one thing we can and must offer our armed forces freely and frequently: gratitude. We thank each and every one of our veterans for their service and sacrifice, on Memorial Day and every day. No matter what branch of service you are, no matter if you’re active, reserve, or retired, Kona Cleaners will clean your military uniforms for free, every single day. We offer our humble gratitude to all who have served.